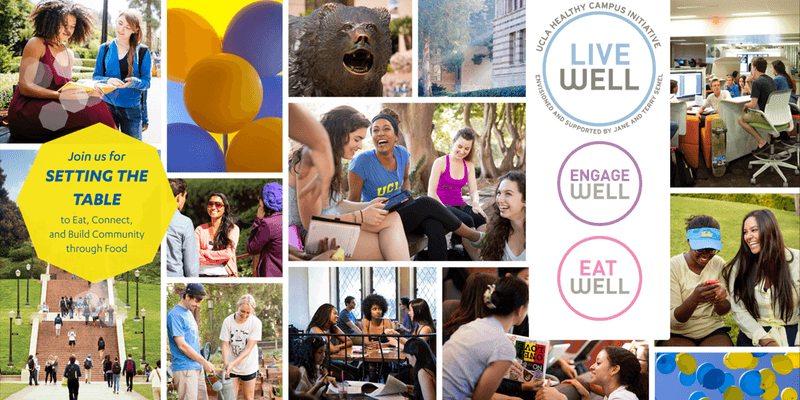 Envisioned and supported by Jane and Terry Semel, the UCLA Healthy Campus Initiative (HCI) invites you to join faculty, staff, and students from around the UCLA campus to Kick-off the new Engage Well pod and celebrate Food Day 2017 with the Eat Well pod. Come learn about what you have in common with others on campus, particularly regarding food! Enjoy revolutionary food from Locol! Learn about efforts at the national level to make social relationships a public health priority from Julianne Holt-Lunstad, Professor of Psychology at Brigham Young University. Learn about intersections between food, social connections, and social justice from the Eat Well pod. Help brainstorm ways to promote healthy social relationships at UCLA!